Business are required by the law to provide a receipt when customer pays for the products or items that they bought from the store. Customers are also required to be vigilant about it and must ask for a receipt every time. This is primarily the reason why when you buy something in convenience stores or grocery stores they always give you a receipt at check out. Printed in this receipt are the details and codes about the products or items that you have purchased or paid at the counter. Receipts may be simple or a bit complex depending on the type of transaction where it is issued, as well as the establishment using it. Let us further learn about receipts in the discussion below. 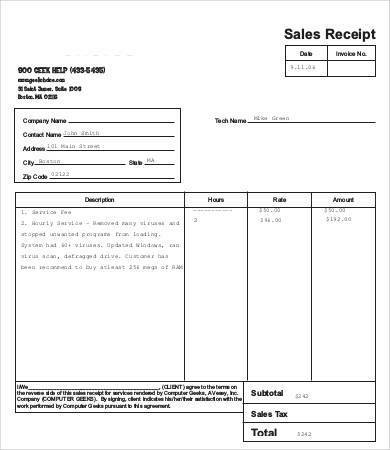 A sales receipt is a type if receipt that is issued after a sales transaction has been successfully completed. The receipts issued in convenience stores, grocery stores, department stores and other shops are considered sales receipt. Just like all other types of receipt, the seller or the cashier will issue the receipt after payment has been received from the customer together with the change. 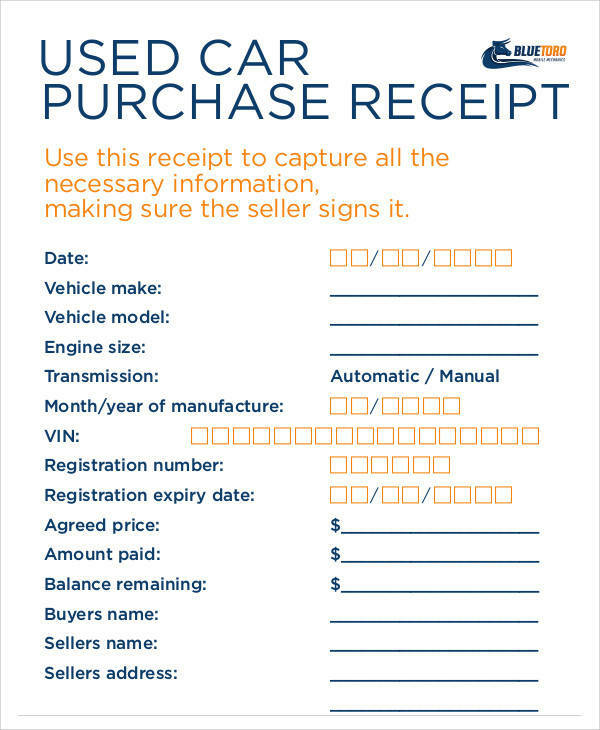 The items or products purchased by a customer are recorded or listed in a receipt with their corresponding prices, description, item number and other related details. The total amount that the customer need to pay is also displayed in the receipt. After payment the paper receipt is printed and handed to the customer. This serves then as proof that the items they carry are already paid for by the customer. Receipts are also used as a customer’s ticket to be able to go out of the establishment with their packed and purchased items. The receipt attached to their shopping bags serves proof that payment has been made. A receipt is also a great tool for keeping track of one’s budget and expenses. Since a receipt provides details of the purchase as well as their prices and dates of purchase, you can definitely keep track of your budget and where you spend your money on. If you need to return something, like a wrong item or a defective gadget, a receipt is one of the requirements you need to have the item returned together with a warranty card for gadgets and other electronic equipment. You will know that a business is operating legally because it will show details about the taxes added on your receipt. You can easily trace the date of your purchase and the store where you bought the products or items by checking the receipt. You will even see the cashier name there. That is a lot of uses for a small sheet of paper that we always take for granted. Now that you know what a receipts is used for, you might as well use them the way they are meant to be used. The law wouldn’t require them for nothing. Other related topics that you may find useful are Blank Receipt Templates, Gym Membership Receipt Samples & Templates, and Dry Cleaning Receipt Samples & Templates. Aside from its uses, why do you think are receipts important? Why do you think the law requires every business establishment to issue a receipt for any sales transaction. The only way for us to know is to find out the reasons behind why it is considered important. Completeness of records – If you are running a business you will definitely need to keep records of all your receipts regardless if you feel that they are important or not. These receipts will complete the documents that will need for various things, like tax return preparation, tax refund claims, inventories, etc. Deduction claim or refund – Refund or deduction claims can be honored with a receipt. This is because you an validly claim that receipt as an expense and which will then be used as a deduction to sales. Decreases tax payments – While keeping receipts allows you to have a complete record, keeping them has another important use and that is to decrease your tax payments. How can that be done? Remember that you can validly claim those receipts as one of your expenses so that it can be deducted to your sales. This can legally minimize the tax payments that you need to make because you will have lower net income. Avoid audits – One of the reasons why businesses get audited is because their records are incomplete or they fail to provide the necessary documents that proves they are doing business legally. The records of the receipts issued by the business to their customers serves as proof that they are conducting business legally. 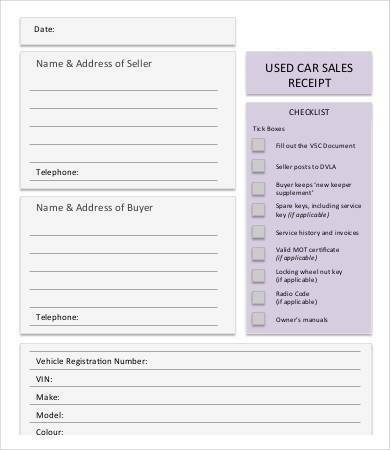 Written agreement – Receipts serve as a form of agreement between the buyer and seller where both agree to the terms and conditions of the sale. The seller here gives their consent for the customer to buy the product or item for the specified amount and the customer agrees to pay for that amount. Proof of purchase – Once a receipt is generated and printed, this means that payment has been made and that the holder of the receipt has legally and rightfully gained the rights to the items listed in the receipt. Prepare tax returns – You will need your receipts to be able to paint a picture of what your previous tax year was like and help you provide the best return possible. You may also check out related titles, like Gift Receipt Templates, Transfer Receipt Templates, and Goods Receipt Templates. Can you tell apart a receipt and an invoice? Good for you if you can. For a lot of people, a receipt and an invoice both mean the same thing and others are just clueless until they are asked this question. Receipts and invoices has been used by a lot of businesses correctly. The only problem why most of use have problems telling them apart is that we don’t really know what they are specifically used on. Here are differences between a receipt and an invoice that you should know of. 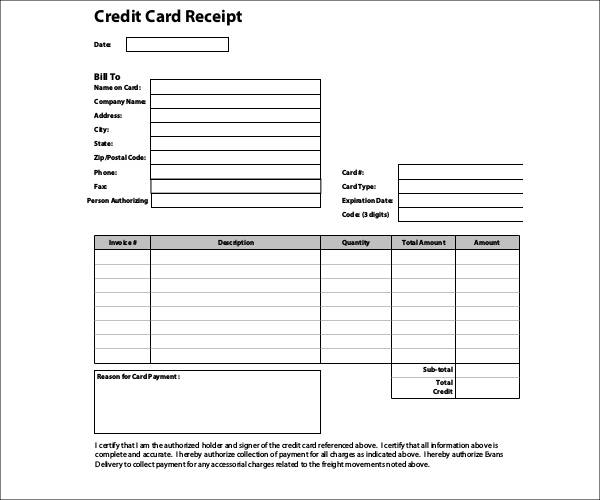 A receipt serves as a proof of payment which means that it is issued after the customer has made the payment for the items or products that they have purchased. It includes details of the purchase, such as an itemized list of the products or items being sold, description of the items, their serial number or code, quantity, how much they cost, the total amount of the purchase, etc. The mode of payment is recorded. It shows if the customer paid through credit card or debit, or if they paid with cash, how much the cash was paid and their change. Taxes and other fees are also shown in a receipt, including the percentage and the actual equivalent. 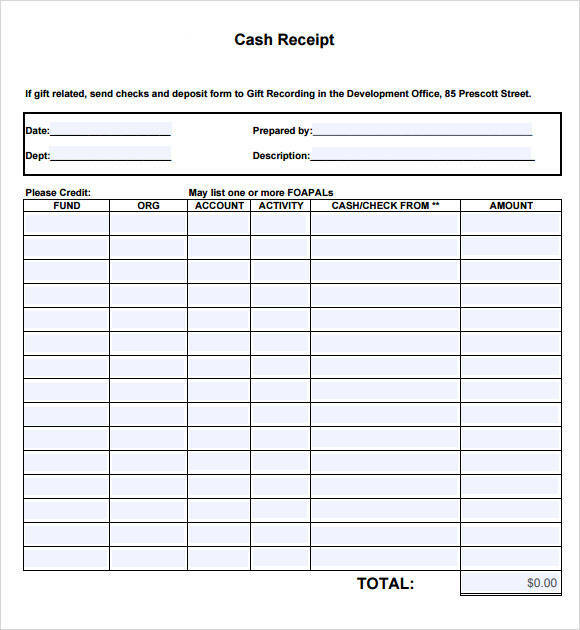 Invoices are used to request for payment for the products or items requested by the customer. This means that it is issued before the customer makes payment for their purchase. 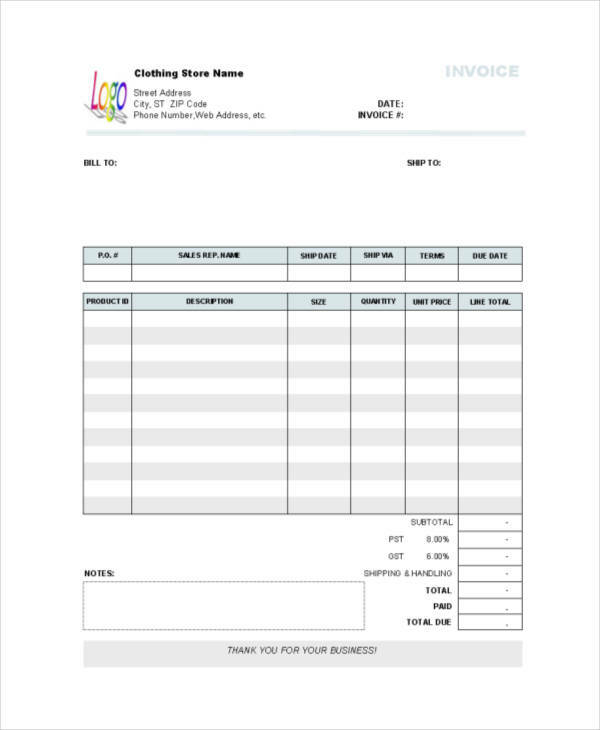 Just like a receipt, an invoice includes details of the transaction, like the itemized list of products with their corresponding prices, quantities and many more. One exception is with the payment type used. While a receipt shows the type of payment used by the customer, an invoice does not give out that information as the transaction has not been paid yet. Taxes and fees are also included in an invoice. The factors that best differentiates a receipt from an invoice is the time when they are issued. 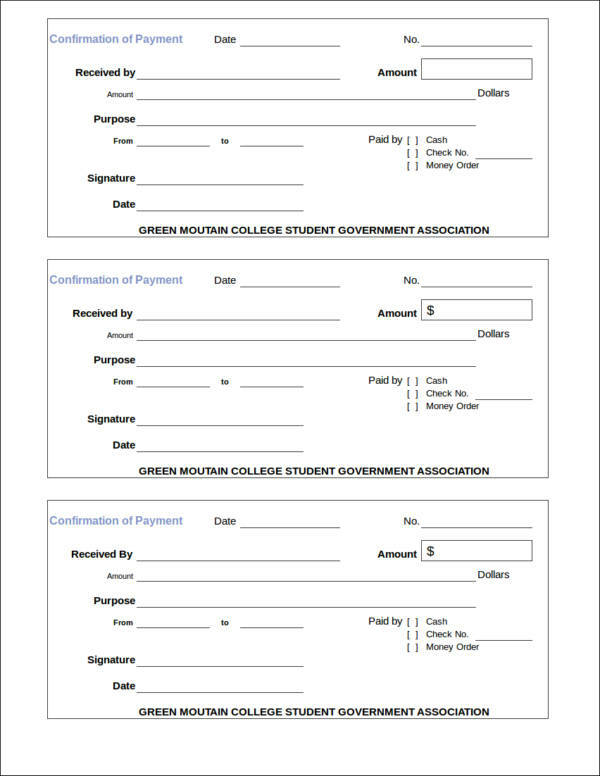 Invoices are issued to request for payment and that is before payment is made. A receipt on the other hand is issued as proof of payment which means it is issued after payment has been made. That just makes it easier for you to differentiate them in case you just can’t remember other things at all. To know more about receipts and invoices, why not check out articles that we offer about them on our website. 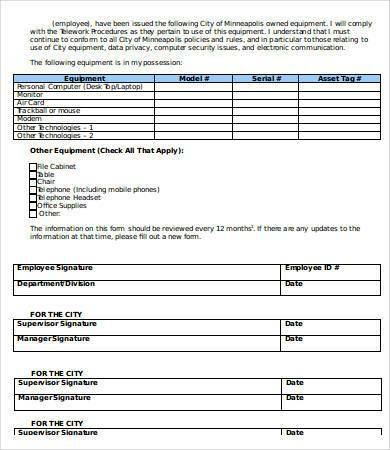 We have there Printable Payment Receipts, Sample Business Tax Receipts, and Sample Car Service Receipts to name a few. Are Receipts Safe to Throw Away? We tend to throw away receipts immediately after we get them, especially if we are going straight out of the establishment where we bought them. This has been a practice that we have been doing for who knows how long and still counting. We may have been doing this for sometime now, but is it really safe to throw away receipts? The answer is both a yes and a no. 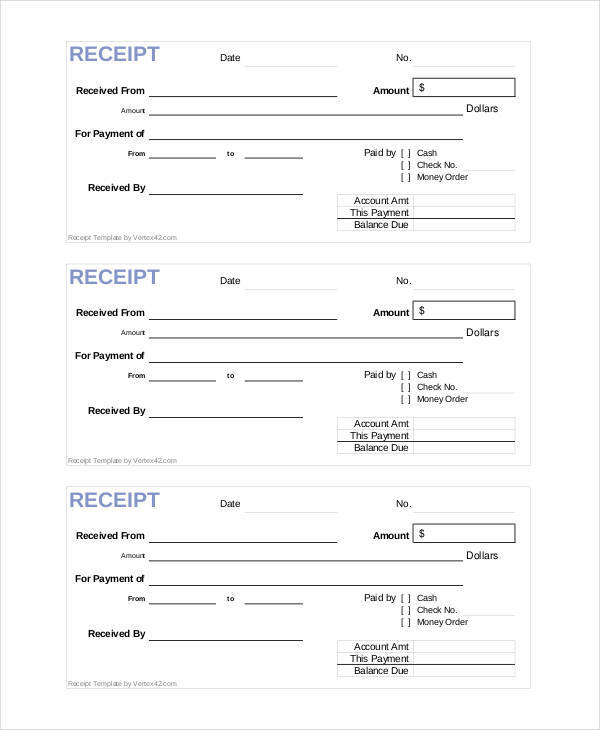 You can safely throw away receipts you have purchased in convenience stores, especially if you will be consuming them on the spot and if you purchased them with cash. There are just no traces of you making that purchase in the store and your identity is not identified. So when is it not safe to throw away receipts? That is when you make purchases using your credit card, debit card, reward cards or membership cards. Why, you ask? It is because theses receipts contain your personal information, such as your name and some digits of your card. 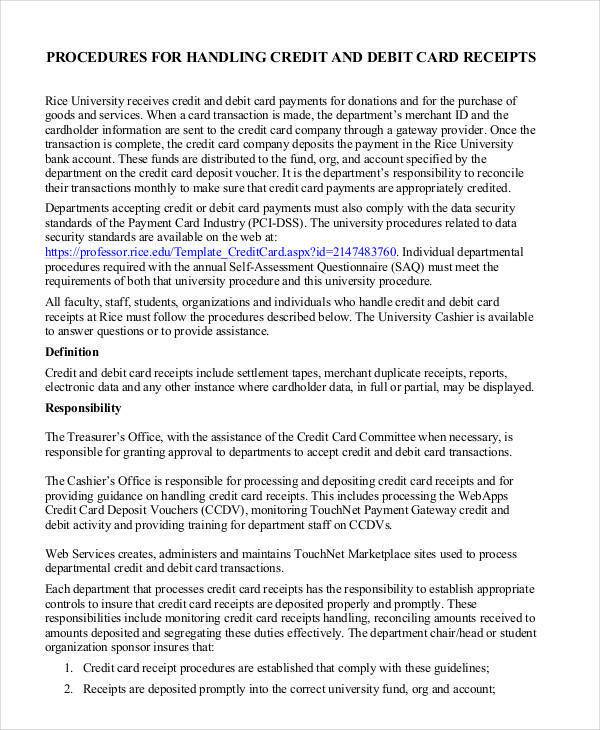 Such information can be used in credit card fraud, theft and even identity theft. Now, you can’t just keep all of those receipts with you. At some point you will need to get rid o them or they will end up as a pile of trash somewhere in your bag or drawers. The best possible ways for you to get rid of those receipts without risks of identity theft and fraud is to have them shredded with your shredder or have them burned. if you have them burned, just see to it that whole receipt is burned and don’t forget to put out the fire when your done. You don’t want any fire accidents because of that. The next time you get a receipt, think first if it is safe to throw it away before you actually throw it away. Also check out related articles, like Sample Cleaning Service Receipts, Sample Rent Deposit Receipts, and Sample House Rent Receipts. There are mainly three types of receipts that are being used today and they are printed receipts, digital receipts and handwritten receipts. Let us take a closer look at each of these types. These are the receipts issued in malls, grocery stores, convenience stores and many other establishments. That is why it is currently considered as the commonly used type of receipt in the present. Printed receipts come in different styles, formats and sizes. These receipts are create with the help of a mini printer that is connected to the computerized cash register at the counter. Large businesses or establishments make use of printed receipts as it is very convenient for them. Computerized cash registers allows businesses to cater to the needs of their paying customers fast and makes large purchases easy to record and total. The downside is that in cases of power outages or signal interference, the device will not be useful and they will need to resort to issuing handwritten receipts. The next type of receipt that is rising to popularity right now are digital receipts. 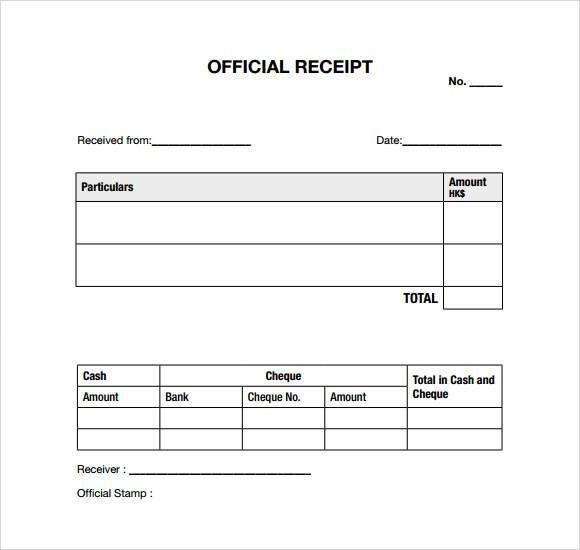 What are digital receipts? These receipts looks just like those that you see printed on paper, except that they are not. Instead of issuing printed receipts, some businesses opt for paperless receipts or paperless billing. Digital receipts are sent to customers through their emails where they can access it anywhere and anytime they want. It’s not just technological advancement and convenience that made a lot of people switch to paperless receipts. It is because of the various movements to save the word. Less paper used means that there will be no need to cut tress in the future. And this is one of the main reasons why this type of receipt is gaining popularity. Handwritten receipts were once the most commonly used receipt before the advancement of technology. They are still used until now in a few establishments both old and new. Businesses being managed by old people or small businesses tend to use handwritten receipts than the printed ones. 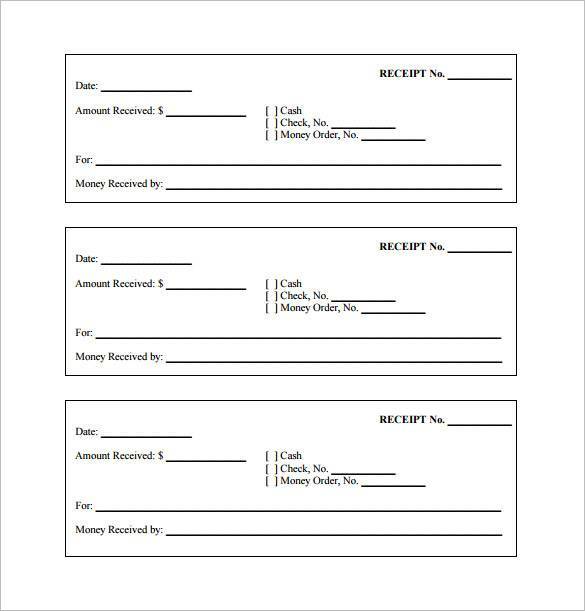 For small businesses, this type of receipt is a more convenient and logical way because they don’t really carry a large variety of products. Others refuse to accept technological advancement and still others don’t know how to use new equipment, especially computers. While a handwritten receipt sounds like a lot of work, it really isn’t. Printed receipt templates bound together into pads are used to create them. 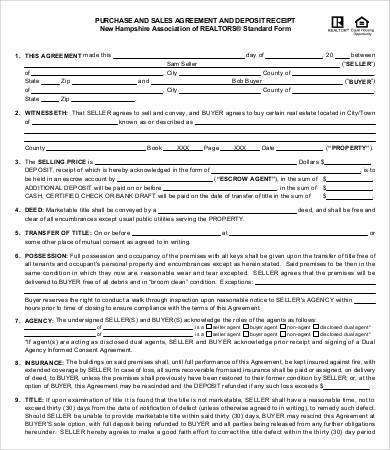 Th details of the products being purchased are written in these templates and are the signed by both the seller and the buyer. It does take some time though as all the necessary details must be written. 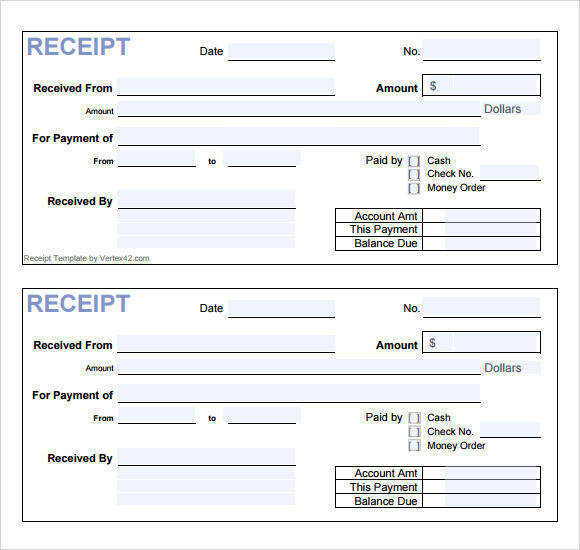 Which type of receipt do you prefer? We hope that this article is able to help you gain understanding about sales receipts and receipts in general. 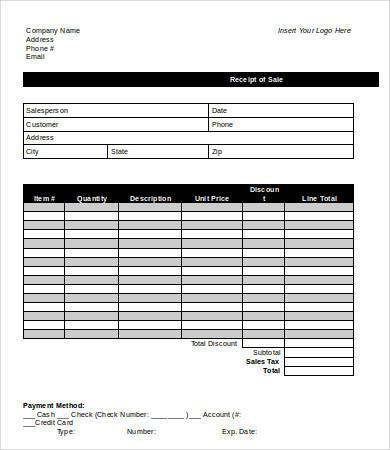 If you wish to get receipt templates, you may check out other related articles we offer on our website, such as Sample Advance Payment Receipts, Sample Generic Sales Receipts, and Sample Sales Tax Receipts.